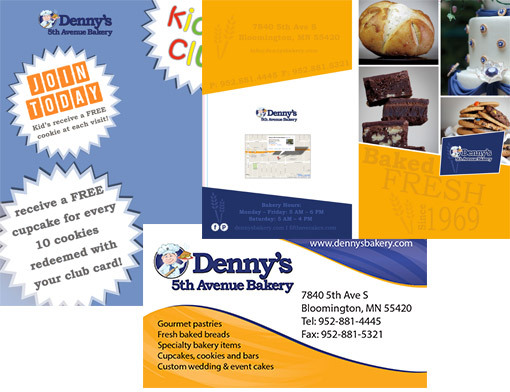 Denny’s 5th Avenue Bakery is a staple company in Bloomington, with commercial clients around the Twin Cities. They were unhappy about their previous website and needed a complete re-design, logo and branding to bring their company to the level they’ve grown it to. They also decided to hire us to start on a custom commercial client sales portal for ordering delivery route products, that includes an easy re-order system. This online system reduces staff management time to 50% of the old method they were using. 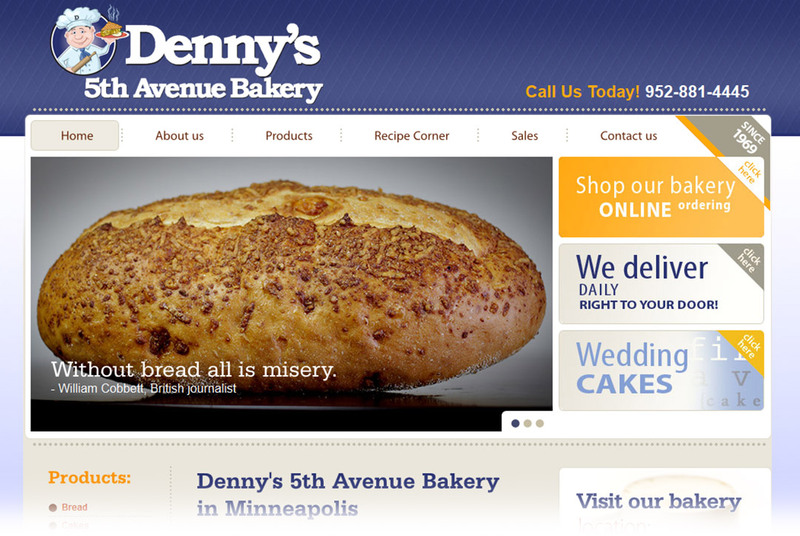 Denny’s Bakery was using a logo for decades that was well known, but very dated. As part of their business expansion they wanted to focus on a re-branding that started with a new logo and color palette. They are now using their new logo and colors on their signs, in store, on their vehicles and on their website. The customer base for Denny’s Bakery is massive. Advertising through print, social media and email is crucial to keeping their customers in the know with their latest offerings and specials. Denny’s proudly works with us to design stunning and effective marketing pieces. Let us show you how we can help you be another happy client!